The StruCIM system combines the speed of plasma cutting with the precision of robotic control, allowing you to quickly take care of big jobs at a fraction of the cost of your current operations. StruCIM is easy to use for any cutting application. Our software makes it simple to integrate your engineering data into our interface and quickly create the machine instructions to cut your configuration. StruCIM is a fully-automated robotic cutting and welding solution that takes your structural designs from engineering to fabricated assemblies in a single, easy-to-use interface. With StruCIM’s intuitive interface, operators can quickly fabricate complex parts and assemblies with no robotics experience. 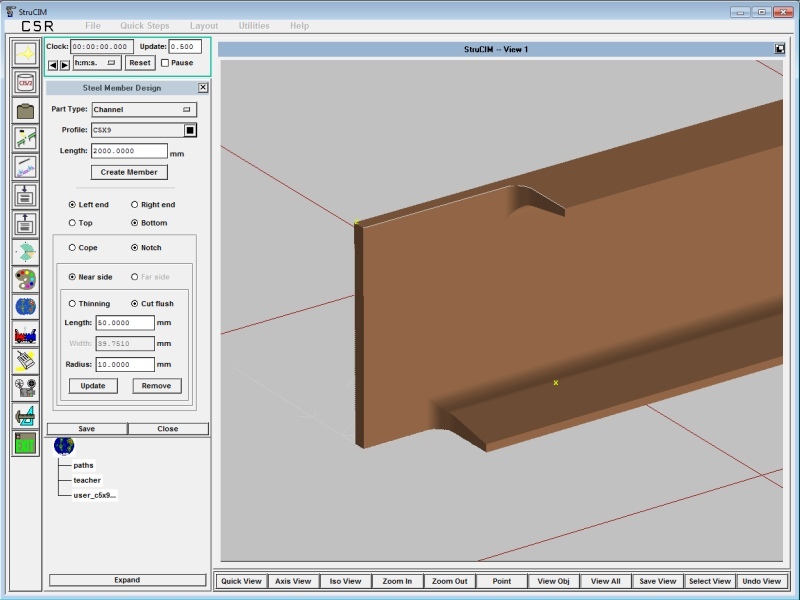 Quickly import data from detailing software (CAD) and convert those part files to be directly read by advanced automation equipment such as robotically controlled plasma cutting and welding machines.